Auto Repair Denver: Change Your Car’s Tire! Flat tires are a drag. 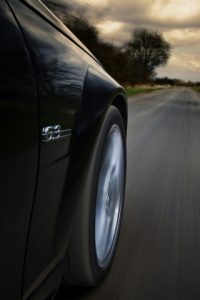 If you have found yourself on the side of the road with a flat tire, you better learn how to change it! And, we can help! With our incredible service team, we want you to be safe when out on the road, even if that means while changing a tire. If you’ve never changed a tire before today, don’t worry! We’re going to walk you through the process, step by step. Before we get started, it’s important to understand that your safety is the number one priority. Make sure you’re pulled over on a side road, if possible, and be sure you have enough space between you and the busy road beside you. Remove the wheel cover if your car is equipped with them. If you have a wheel cover, you’ll have to remove it just like you remove a lid from a can of paint: With a flathead screwdriver or knife. Lift it until your hear it pop and feel it remove from the wheel. Open the trunk of your car and remove all of the spare tire accessories, including the tire. At this time, you’ll use the lug wrench to loosen the lug nuts. Make sure you don’t lose them! Next, you’ll use the jack that your car has by placing it under the frame of the vehicle (behind the front tire or in front of the back tire; ie: If your car has a flat on its front tire, you’ll place the jack behind the flattened wheel.) Once the jack is secure, you’ll raise the car with the jack. You’ll raise the car until the flattened tire is about six inches from the ground. Remove the flat tire from the axle. Be sure that when you remove it, you set it down on it’s side so it does not roll away from you and into traffic. Place the spare tire onto the axle and place the lug nuts back onto the tire. You’ll tighten the lug nuts by hand before you use the lug wrench. Once the spare tire is secure and held in place by the lug nuts you’ve tightened by hand, it’s time to lower the vehicle back down to the ground and remove the jack. Tighten the lug nuts with the lug wrench once more. It’s important to tight them in a star rotation. So if there are five lug nuts, you’ll tighten the bottom left, then the top, then the bottom right, then the top left and finally, the top right. Place the hubcap (if you have one), back onto the vehicle and stow away all of the equipment used. During this time, make sure you check the tire pressure of the spare tire. If it’s not full enough, stop by your nearest gas station and air it up. If you aren’t unsure what the PSI should be kept at, check your vehicle’s manual. Make sure you keep your tire! 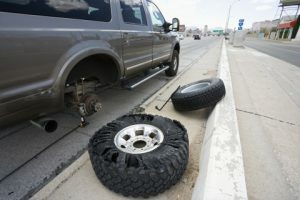 The auto repair experts here in Denver may be able to patch the tire like new, saving you some cash along the way. Changing a tire can be difficult. If you need more help than just a flat tire, feel free to give our auto repair experts here at Urban Autocare in Denver a call. We have the technicians who care and who can provide you with auto repair you need. To learn more or to schedule an appointment with our professionals, reach out to us now!